Looking for movie tickets? Enter your location to see which movie theaters are playing Buffalo Soldiers near you. 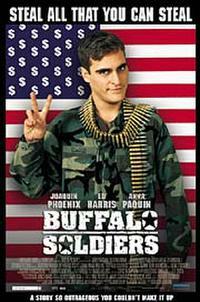 An amoral soldier (Joaquin Phoenix) runs a black-market operation.